Members of Abercrombie & Kent Residence Club can now choose from additional villas across Tuscany, Provence and the Cote d'Azur. Membership nights are exchanged for credit toward stays at the villas in Italy and France as a part of the clubs recently expanded Travel Credit Program. "A villa provides a comfortable 'home away from home' for family and friends," explains Abercrombie & Kent Founder, Chairman and CEO Geoffrey Kent. "It is a great base for exploring the surrounding countryside and the perfect place to celebrate a special occasion, such as a birthday, wedding or anniversary." 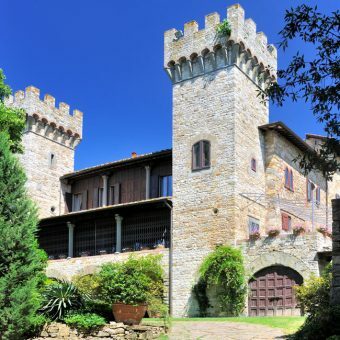 Built in the 1500's this charming castle, Villa Le Siepi, is located in the typical Tuscan village of Panzano in Chianti. The Italian gardens, stunning views, private swimming pool and tennis court make it a perfect place in which to enjoy a relaxing family villa vacation. 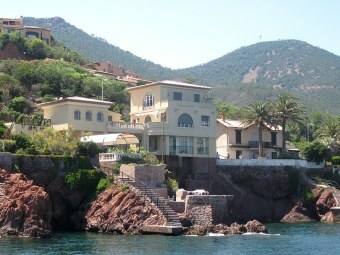 The main piazza of the village with its colourful Sunday market and the typical "trattorias" can be reached by an easy walk from this family villa. Fully-renovated farmhouse with views over the Chianti hills, near the medieval village of San Gimignano. This luxury villa retains its original charm while being tastefully furnished with modern amenities, including satellite TV, luxury spa, steam room, infinity pool and summer bar. The shaded outdoor terrace is a perfect place to relax. This newly-renovated farmhouse -- with spectacular views over the Tuscan countryside -- is a peaceful retreat, centrally located for daytrips to Florence, Arezzo, Siena and Perugia. Fully-equipped for active families with bicycles, a heated swimming pool, soccer field, volleyball court, pool table, sauna and steam bath. Ideal for multi-generational families with two separate wings, each with a fully-equipped kitchen. A modern villa, fully equipped and furnished in contemporary French style, set amidst vineyards with enchanting sea views of the Porquerolles Islands and direct beach access. This spectacular hamlet dating back to 1422 is set in 15 acres of fruit and olive orchards, with stunning views over the Luberon Valley and mountains. This French provincial home with contemporary furnishings offers peace and tranquility with outdoor stone terraces for al fresco dining. "Planning a family vacation at an unknown property can be daunting, and internet villa rental sites all too often fail to deliver on their descriptions," says Abercrombie & Kent Residence Club President Scott Wiseman. "Each of these A&K villas has been personally selected by our experts in Europe and inspected to insure that the photography, floor plan and description accurately represent the experience." A&K also prides itself on providing "insider access", so members could take a VIP tour of one of the oldest Tuscan pasta makers in Lari, learn how pecorino and ricotta cheese are made in a Tuscan farmhouse located in the heart of Val dOrcia, or embark on a private, underground tour of medieval Siena. Earlier this year A&K Residence Club had 5 European villas available through this program, and last year had about a dozen European villas. All of these villas are managed through sister company A&K Villas. These different villas offer some good flexibility for members of the club and provide additional locations on top of the club owned homes. Members can also exchange some of their membership nights for travel with parent company Abercrombie & Kent, again using the clubs .